I can’t say that it was a single moment or event that sparked my interest in astronomy. But something clicked in my head a few summers back, that inspired me to buy my first telescope and reveal the wonders of the night sky. With so many options out there, I was bewildered as to which type of telescope I should even get. Schmitt Cassegrain? Newtonian? Refractor? I had no idea the differences between these instruments. Looking for astrophotography telescopes? View my top choices for beginners here. 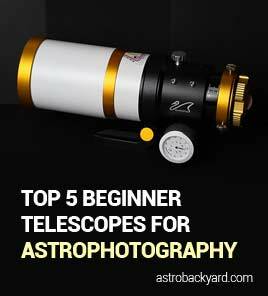 I scoured the web for telescope reviews, trying to narrow down my search to the best possible choice for beginners. 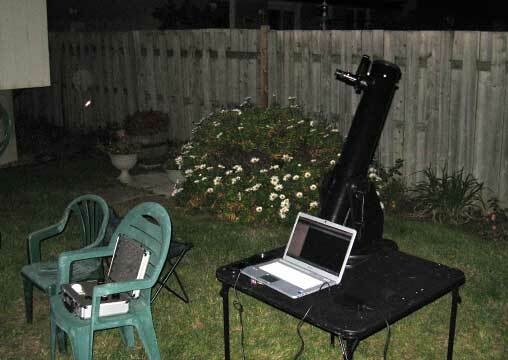 I wanted to make sure that I purchased the right telescope for my interests, and that it was a top performer in its class. I had heard too many horror stories of “department store” telescopes that were so bad, that the user lost all interest in astronomy altogether! I wanted to avoid the mistake of buying a telescope I would never use, or worse, that didn’t do what I wanted it too! 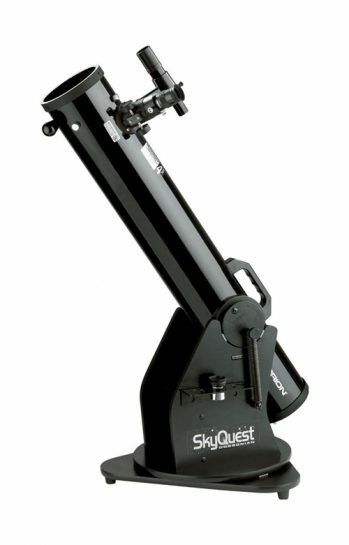 My first telescope was an Orion SkyQuest XT 4.5 Inch Dobsonian. I ordered it online from Orion Telescopes back in 2010, and never looked back. I remember the day I received the package in the mail like it was yesterday. It was a large package with the Orion branding on it, and I couldn’t wait to open it. Since then, they have upgraded this model and many others. 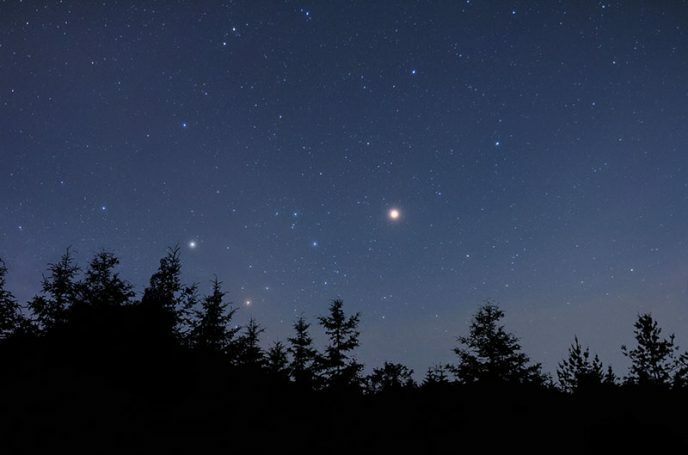 There have never been so many amazing options for amateur astronomers to view the starry sky. In late 2018 I reviewed an incredible Dobsonian Telescope, the Apertura AD8. This is an 8-inch Newtonian reflector package from High Point Scientific that includes a number of helpful accessories. If you are looking to buy your first telescope for visual observing, this is an excellent option to consider. Despite the usual “new telescope curse”, the night sky was clear. The only thing that stood between me and the wonders of the night sky, was the time it took me to assemble the telescope. Luckily, the instructions were straight forward, and I had the whole thing put together in about an hour. I remember sitting on the living room floor of my girlfriends (Now Fiance) parents house putting my new piece of scientific equipment together, as her Shitzu-Maltese curled up for a nap in the packing materials. Now this is the smallest Dobsonian in the skyquest line-up. I didn’t want something too large, that would be a pain to set up and travel with. But make no mistake, I went with the 4.5″ model because it was the least expensive! If I could have purchased the mouth-watering 8″ version I would have. An 8″ – 10″ Dobsonian telescope is about as big as I would purchase for myself. This size can still fit into the backseat of my car, and be quickly transported to a dark sky site. My very first views through this small Dobsonian were of bright stars in the constellation Cygnus (Probably Deneb). The night was July 22, 2010 – right in the middle of summer. I am not sure why I wanted to look at a star first, I’m not sure what I expected to see. But there it was, a sparkling jewel in the night. Next, I moved on to the moon. It just happened to be rising in the east, and in the waning gibbous phase on that fateful night. Everything as included with the telescope. 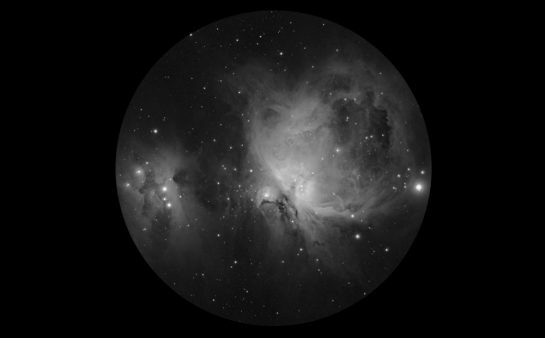 Eyepieces, finder scope, software, collimation cap – I was observing the heavens the same day it came in the mail. 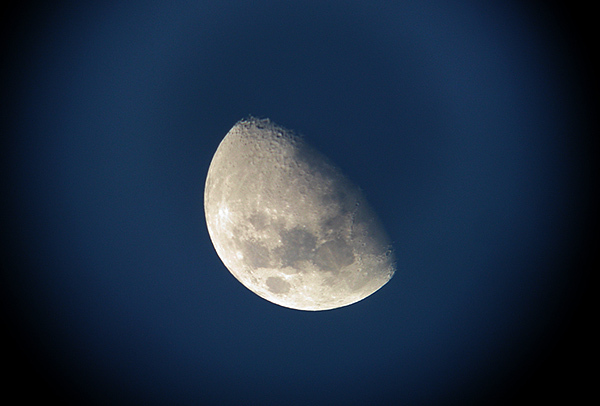 The views of the moon through the included 25mm Plossl eyepiece were unforgettable. I couldn’t believe how bright and detailed it was. It was my first clear view of the moon through a telescope, and it knocked my socks off. 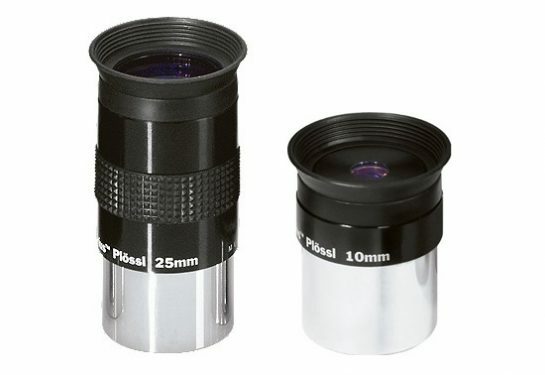 I tried the second included eyepiece in the bundle (10mm Plossl) for a closer view. This time, the craters on the moon became detailed lunar impact areas full of shadows and texture. This moment changed everything. At this moment, I knew there was no going back. I am not an expert when it comes to telescope optics, or technical specifics. But I will tell you this – if this is your first telescope, the views will blow you away. 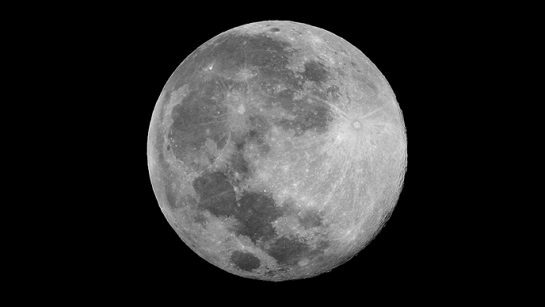 I have now looked through much larger telescopes, but I still remember the jaw-dropping sight of the moon entering the eyepiece. I still remember how bright it was, much brighter than you would imagine! The combination of the wide-field 25mm Plossl eyepiece and the close-up 10mm works wonderfully when examining the moon in all of its phases. Soon after my memorable experience with the Moon, I tried pointing the telescope (with the 25mm eyepiece still employed) over to a noticeably bright “star” in the East. Surely this star would look different than the one I had viewed earlier. The incredible part of this story is that it 100% happened exactly the way I am describing. I looked at my first planet EVER through a telescope by accident! The star was not a star at all, but the planet Jupiter, with 4 moons orbiting it and in view! I was alone, and I felt the need to call someone, anyone, right away to confirm what I was seeing was real. 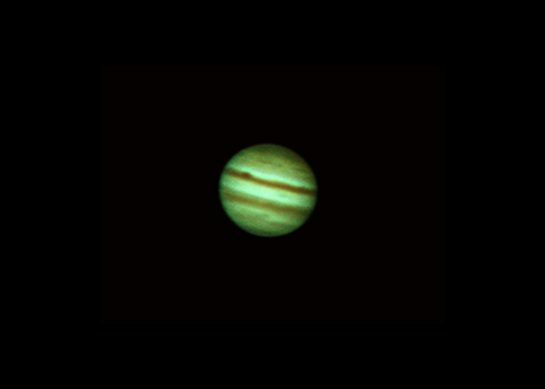 I switched to the zoomed-in view provided by the 10mm eyepiece. There it was, the gas giant of our Solar System – cloud bands and all. Needless to say, I was speechless and would never be the same. The Orion CorrecTension system does a great job of holding the telescope tube in place while you view you object. Dobsonians in the past had a reputation of being wobbly, which made it hard to focus a high magnification eyepiece on a distant deep-sky object.